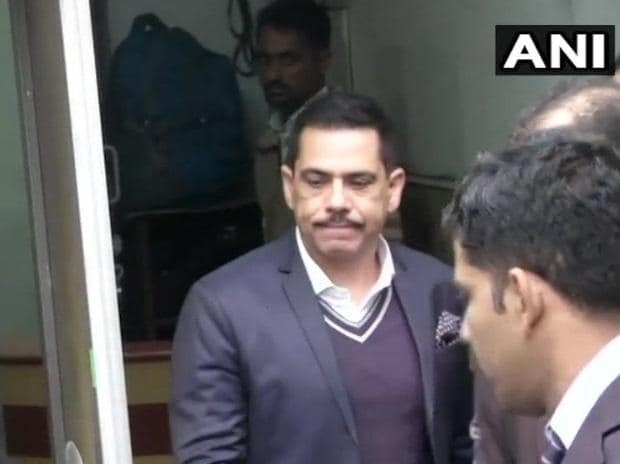 Robert Vadra, brother-in-law of Congress President Rahul Gandhi, Wednesday appeared before the Enforcement Directorate (ED) in a money laundering case probe, officials said. He reached the agency's office at Jamnagar House in central Delhi at about 10:30 AM along with his lawyers, they said. This is a scheduled appearance of Vadra before the investigating officer (IO) of the case in a criminal complaint related to allegations of money laundering to purchase assets abroad. He had skipped the summons Tuesday, citing bad health. Vadra has been questioned by the ED in this case for 23 hours over three days of deposition earlier this month. Vadra's statement is being recorded under Section 50 (powers of authorities regarding summons, production of documents and to give evidence) of the Prevention of Money Laundering Act (PMLA). His first appearance before the ED earlier this month acquired political overtones after his wife Priyanka Gandhi, recently appointed Congress general secretary in-charge of eastern Uttar Pradesh, accompanied him to the investigating agency's office on one day while she picked him up after questioning the next time. Vadra had similarly deposed before the ED twice in Jaipur in another money-laundering case related to an alleged land scam in Bikaner.